'Britain Can Make It'. 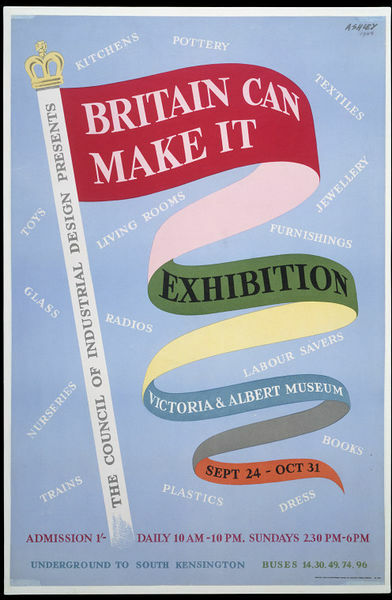 Colour lithograph poster advertising the exhibition organised by the Council of Industrial Design, held at the Victoria and Albert Museum, 24 September – 31 October 1946. The design shows a multi-coloured banner flag, with the text advertising the exhibition, on a white pole set against a pale-blue background. Signed and dated 'ASHLEY 1946'. Signed and dated, top-right corner of sheet. Lettered in purple along bottom of design. Lettered, in blue then green, along bottom of design. Lettered in white against the pale-blue ground. 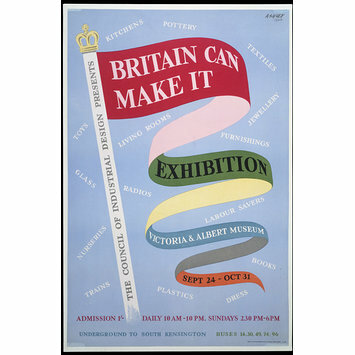 'Britain Can Make It'. 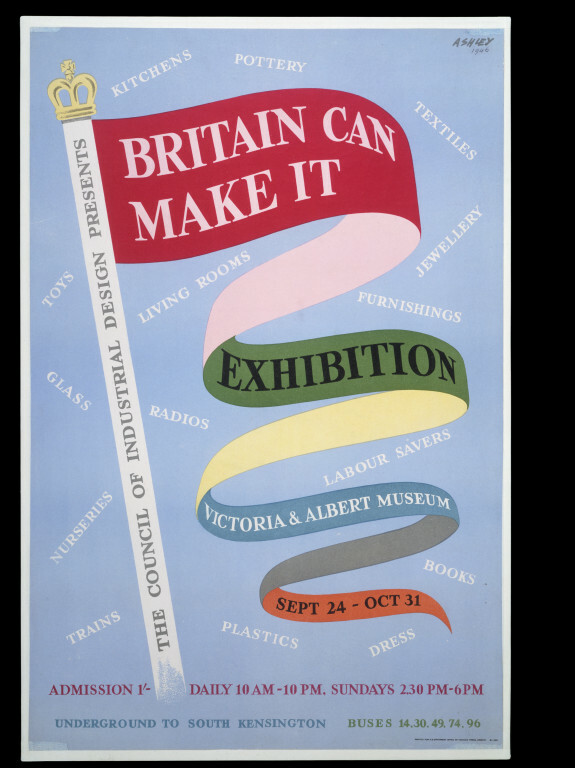 Colour lithograph poster advertising the exhibition organised by the Council of Industrial Design, held at the Victoria and Albert Museum, 24 September – 31 October 1946. The design shows a multi-coloured banner flag set against a pale-blue background. Designed by Ashley Havinden. Great Britain. 1946.